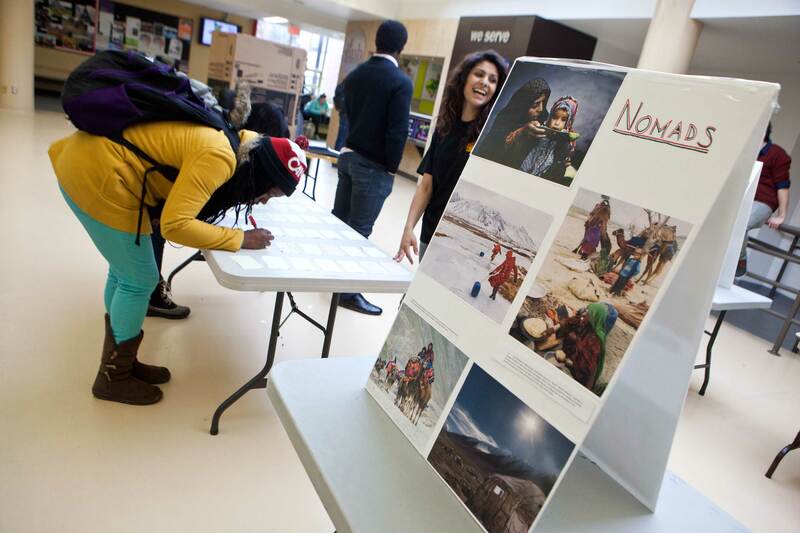 Last Thursday, students and community members passing through the Wilfrid Laurier University Concourse were invited to learn about the country of Afghanistan at an exhibition organized by the Laurier Afghan Students Association (LASA). This was the club’s first annual event, and was aimed at educating the Laurier community about the three eras of Afghanistan. Accordingly, the club organized the exhibition by its three eras, the first being the pre-war era of Afghanistan, prior to the Russian and American invasions. By indicating towards the pictures on display of the country during this era, Wahab explained that many people were surprised at how developed it was. The country had resources, doctors, educated people, a university, hospitals and fashion similar to the West. The second era exhibited was the war era, wherein, according to Wahab, the infrastructure and Afghan family were destroyed. The third is the reconstruction era, which Afghanistan is currently in. Wahab explained that America, as well as other countries, are helping in this phase of reconstruction in an attempt to move the country back to where it was before the war — a place where people would want to go for a vacation. Members of LASA were dispersed throughout the exhibition to answer questions and elaborate on the pictures. As well, students were invited to share their experience by writing what they learned on sticky notes. Rute Gigbo, a fourth-year global studies student, was passing through the Concourse and decided to walk through the exhibition. Though Wahab will be graduating this year, he noted that the club has intentions to continue the exhibition next year and expand it over two or three days. According to him, this year was just the first step in spreading cultural awareness about Afghanistan on Laurier’s campus.